This page shows the latest Tretten news and features for those working in and with pharma, biotech and healthcare. Study findings demonstrated that monthly treatment with Tretten prevented bleeding in 90 per cent of patients, with no evidence of abnormal clotting. 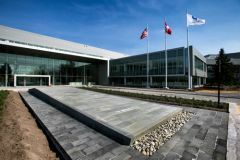 ... Novo Nordisk said Tretten is expected to be launched in the US early next year.